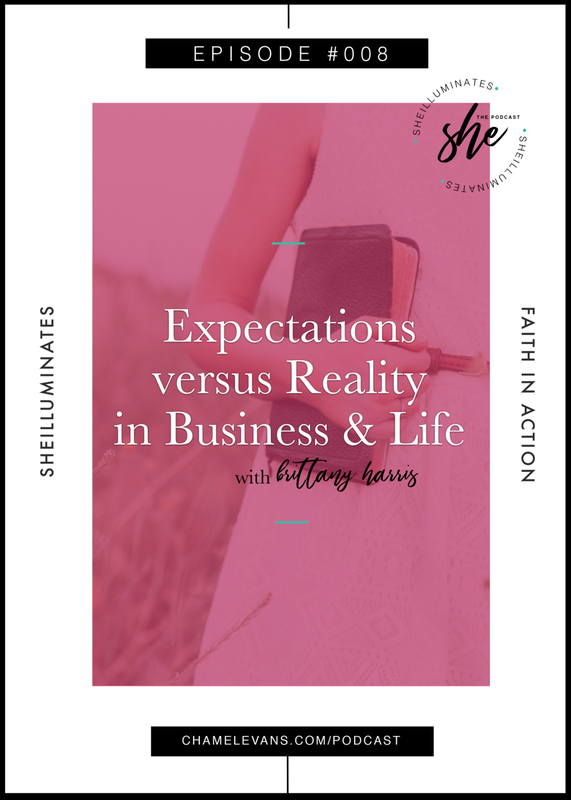 Have there been moments in your life where you've been a bit disappointed that the expectations of your business, purpose, or life doesn't match up with your reality? Or maybe you've been guilty of basing your expectations solely off what you desire or what the world says and completely bypass checking in with God. On this episode, Brittany Harris and I share some lessons learned from getting ahead of God and divine insights about the importance of seeking God first and trusting His leading. Be encouraged with some practical nuggets of truth to help you embrace your current season of life and shift to a heart of expectancy and dependency on God. Download shareable graphics and let's spread truth together!